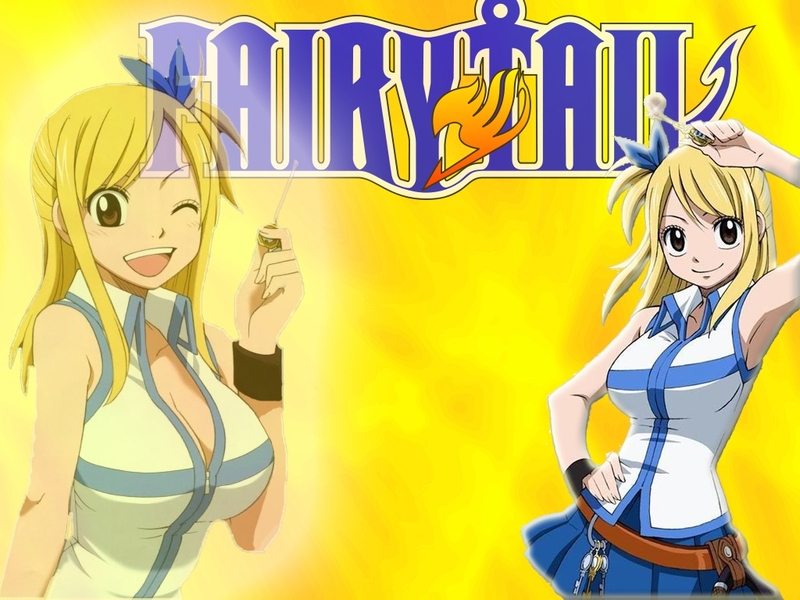 We all know Lucy Heartfilia as the Celestial Wizard that is part of ‘Team Natsu’ and a member of the Fairy Tail Guild in the hit anime Fairy Tail. Lucy Heartfilia is very popular and is in fact currently the second most popular girl in the series. Mangaka Hiro Mashima gave Lucy her name when he was listening to the Beatles song: “Lucy in the Sky with Diamonds”. Aquarius , “The Water Bearer” is a Celestial Spirit, one of the 12 Golden Zodiac Keys. She is Scorpio’s girlfriend. Followers of the anime will know that Aquarius always seems upset at Lucy when Lucy summons her, but she has also shown that she deeply cares for the Celestial Wizard. In addition to the beautiful blond-haired mage Lucy, from the Fairy Tail guild, we have a second character joining her: the summoned Aquarius. Lucy is holding her golden key that she uses to summon the celestial spirit into her world. Aquarius has her scary face on and someone is in deep trouble! This figurine is not one but two anime characters in one. Tsume has outdone themselves yet again giving us an exceptionally well painted figurine. They really did magic on the figurine. The dynamic duo looks very life-like. Lucy and Aquarius look alive, and the physics and kinetics of the frozen moment in the sculpture brings reality to the figurine. This IS Lucy and Aquarius. The design was well thought up and the guys that designed this must have done hours of research (anime watching) to get the design this perfect. One can but imagine how suave it will look in a display case next to a Natsu figurine. Okay time to force the stars and heart out of the eyes and get serious because this is a serious piece of art. 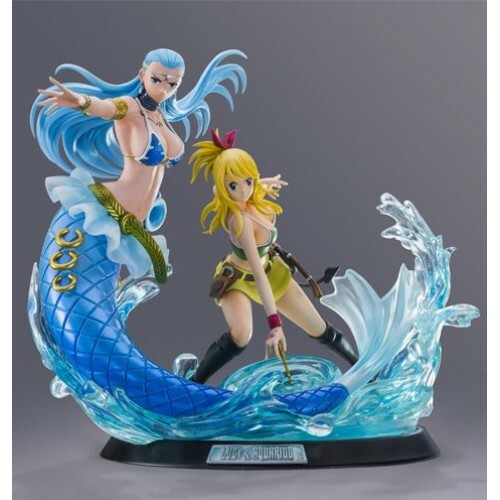 If you are crazy about Fairy Tail and do not have this in your collection I am sure you are salivating right now. 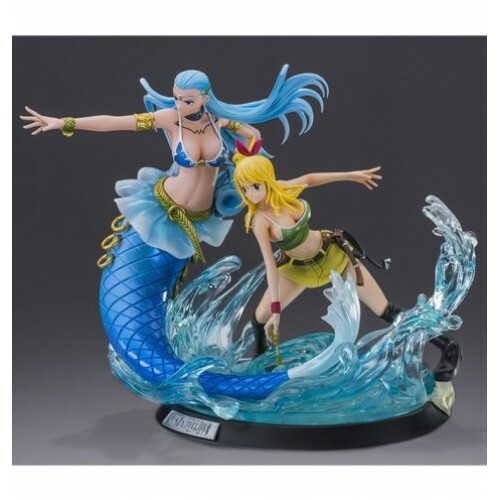 This figurine duo is super sugoi and a must have!